The Rabbi sharing prayers with our young men and their families. 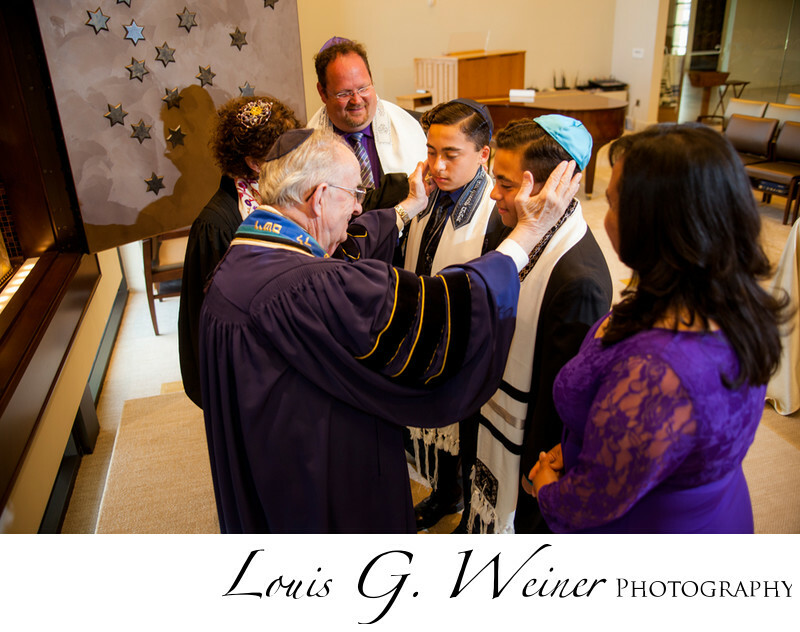 Congregation Emanu El Temple is a beautiful Temple and a wonderful location for a celebration. The young men worked long to learn all their parts in Hebrew showing true dedication to what is important to them and their family.